The notion that any piece of art is perfect is just wrong, but sometimes you can get pretty close. That’s how I feel about Asteroid Base’s latest game, Lovers in a Dangerous Spacetime. By creatively blending genres like space shooters, tower defence, and metroidvania with bright colours and an original art style, Lovers in a Dangerous Spacetime is one of the most unique and original titles on the market. It’s one of the best games I’ve played in a very long time. Everything about this title is unique, and that’s most evident in the plot. In the distant future, space scientist rabbits harnessed the power of love as a new fuel source. This new green energy was beloved by everyone; until an engine malfunctions, opening a portal to another galaxy, spilling hostile aliens and Anti-Love across the universe. Every cotton-tailed creature is captured and it’s up to you and your cat (or dog) to man a spaceship to save captive bunnies. I heard the game really shines with multiplayer, but our office Xbox One only had one, so I had to settle with single-player, and it was a delight to play. It’s one of those games where it sounds complicated until you actually play it. You and your companion control a giant space circle fully equipped with four fixed turrets, one constantly moving cannon, a shield, and a map. You guide your ship looking for bunnies and jumping from turret to turret, taking out evil aliens. The combat is hectic as you need to move around constantly to man the proper turrets, while also controlling where your companion should be. I find the most effective way to play is to keep your pet on shield duty, that way the side you’re not on is still defended until you can switch to defend it. This leaves you in a position where you get surrounded because you can’t move, but if you’re fast enough, it shouldn’t be a problem. When you’re not locked in battle, exploring is encouraged. Each stage has a minimum space bunny requirement, but there are more scattered throughout the map and, while you do that, you can find upgrades for your ship along the way. It gives you incentive to explore and earn a better score. The presentation is even more appealing. Everything is bright and neon. When bunnies are rescued they shoot rainbows, every character has a cute 2D cartoon aesthetic, and their colours are a stark contrast to the dark space background. To add to that, the techno soundtrack fits perfectly with the game and never gets old. Everything just fits to make a great experience. Everything was put together carefully and lovingly, and that’s why it’s so fun. It’s originality and charm make it stand out from the rest of the XBLA marketplace’s indie titles. I really can’t say anything bad about this game. 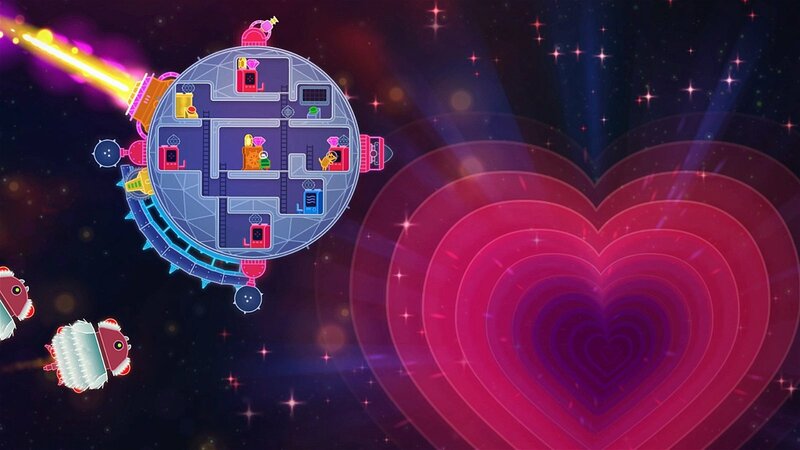 From amazing, frantic combat, to the exploration, right down to the art direction and music, Lovers in A Dangerous Spacetime is hard to forget. While no game is perfect, this comes dangerously close. 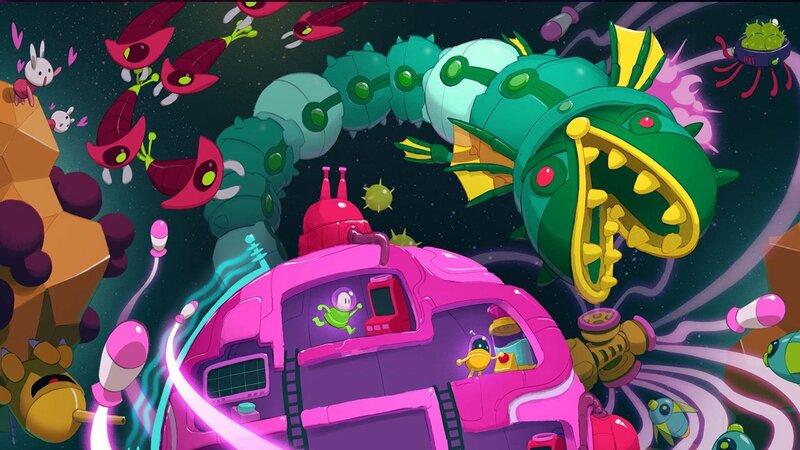 Lovers in a Dangerous Spacetime is one of the most unique and original titles on the market. It’s one of the best games I’ve played in a very long time.